We lamb later in the hills to take advantage of the (hopefully) better weather, some of the ewes are lambed in by the farm others out on the hills they call home. With 1400 breeding ewes lambing from mid April, it’s a busy time. Most ewes manage all on their own but all have to be checked several times daily which in itself is time consuming with the problem ewes and lambs adding into this. Problems range from ewes with birthing difficulties to newborn lambs that haven’t found the milk supply- all needing urgent attention. Any new born lambs that were a bit slow to get going and sample some of their mother’s first milk or colostrum succumbed to the cold winds and needed a bit of TLC in the shed. When this happens, the ewe and lamb(s) have to be caught in the field or on the hill (mother being more of a problem to catch than the lamb at this stage) and shipped into the sheep shed by Ali on the quad bike. There the lamb is assisted in feeding from its mother (every 4 hours) until sufficiently recovered. 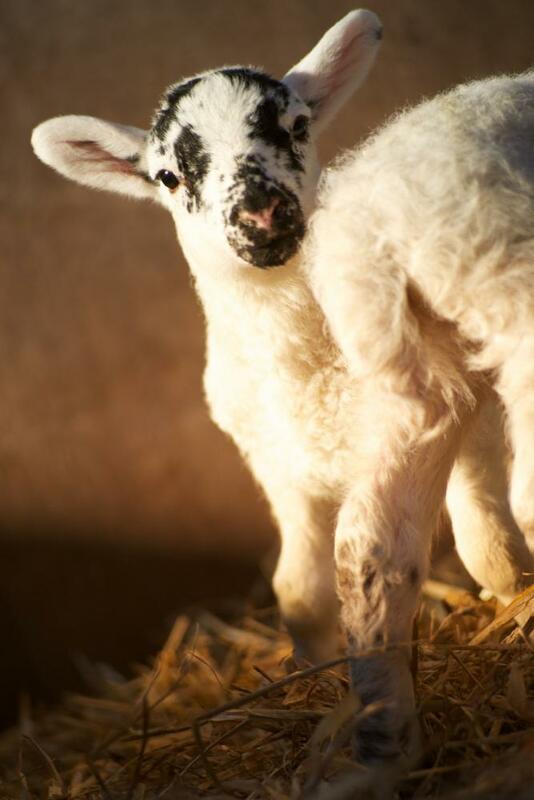 New born lambs have special brown fat which helps them maintain body temperature in combination with their mother’s milk. Sometimes, if the lamb is more than 5 hours old and hasn’t found the milk supply, hypothermia (body temperature below normal) sets in and it needs glucose as well as being warmed (curled up by the radiator in the farmhouse kitchen) as it is running so low on energy. Without the glucose the lamb would warm up but would not survive as it’s blood sugar level is so low. After this treatment, it will recover quickly and can be tube fed it’s mother’s milk which is full of antibodies to give the immune system a kick start. There is a huge amount of job satisfaction in watching the change from freezing lamb to a frolicking one! One of our pet lambs, a two year old ewe or gimmer called Brenda lambed for the first time this spring. She is instantly recognisable by her funny stumpy horns and was born but abandoned in a terrible spring blizzard. She is showing great mothering skills considering she has been an orphan from birth. After a blizzard this Easter, we are hoping the weather gets significantly warmer from now onwards. Due to the terrible winter and multiple “Beasts-from-the-East” the ewes are all being given high-energy feed blocks to make sure they are getting the nutrition they need for themselves and their growing lambs. Usually the ewes are brought into the fields in the valley at Eastside to lamb on the new grass. This also makes it easier for us to manage with all your births and tentative first steps contained there and easy to monitor. This year there simply isn’t enough grass (thanks to the cold east wind) in the fields to sustain them so we are lambing on the hill. The ewes, for the most part, lamb well on the hill - always finding the best shelter and feed. It is the shepherd that has a lot more ground to cover - equivalent to 2440 football pitches but with lots more hilltops, gullies and hiding places! Ali found pet lamb 'Arthur' this year on the hill. 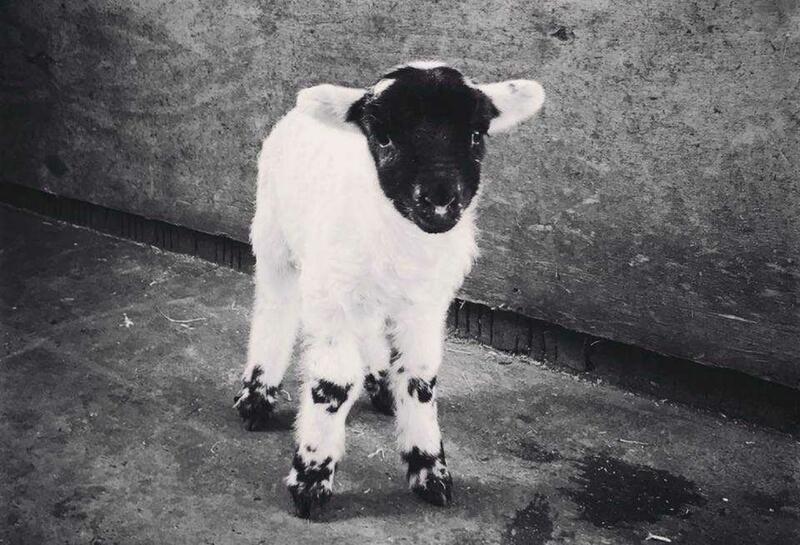 He had been abandoned by his mother, which sometimes happens with Blackface ewes if they’ve had a hard spring and think they cannot support the lamb. Although pretty poorly to start with, Arthur is now loving life and is a regular visitor to the farmhouse kitchen - much to the bemusement of the labradors! This year we have been grateful to the public for ringing in potential problems or dropping in to the farmhouse. 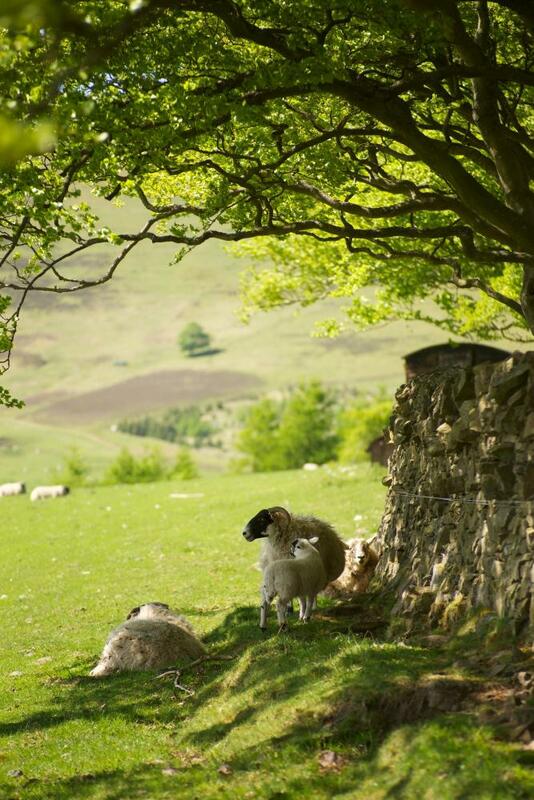 It helps us to have so many eyes in the hills looking out for the ewes. If anyone spots anything amiss, please let us know on 01968 677842. Thank you!